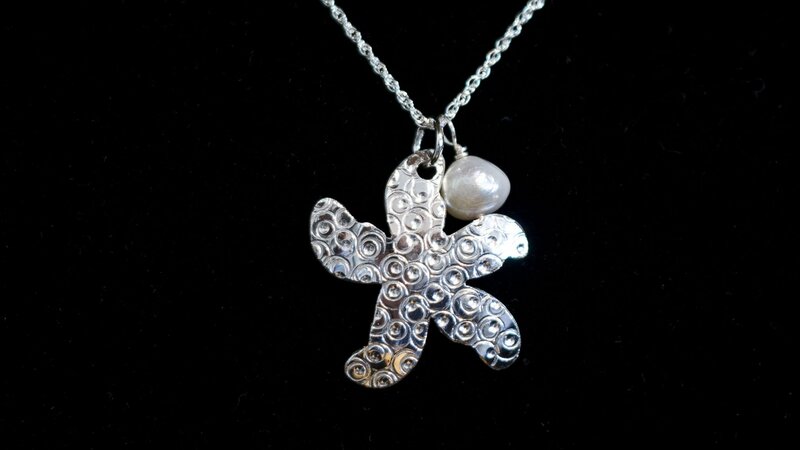 Alcove sells handmade sterling silver jewellery by Emily Ferris of Elements Gallery. All of her jewellery is made with recycled fair trade silver and her designs are unique and memorable! Nestled in the woods in her studio on the outskirts of Qualicum Beach on Vancouver Island, Emily Ferris designs and creates her unique jewellery. Her designs are inspired by all the elements of the West Coast, from the waves sending ripples over the sand to new ferns emerging from the forest floor. The interconnected circles in her designs represent how we are all connected together through our community and family circles.